• Main fly and floor seams are factory taped for extreme weather protection. • Mesh body is great for ventilation and stargazing. • Continuous sleeves and pole pockets make set up fast and easy. • Bathtub floor keeps seams taut and high off the ground for superior protection. • Very small 17 in. x 4 in. pack size. 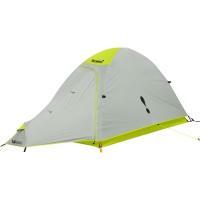 • Mesh roof is zippered for easier entry/exit in nice weather. 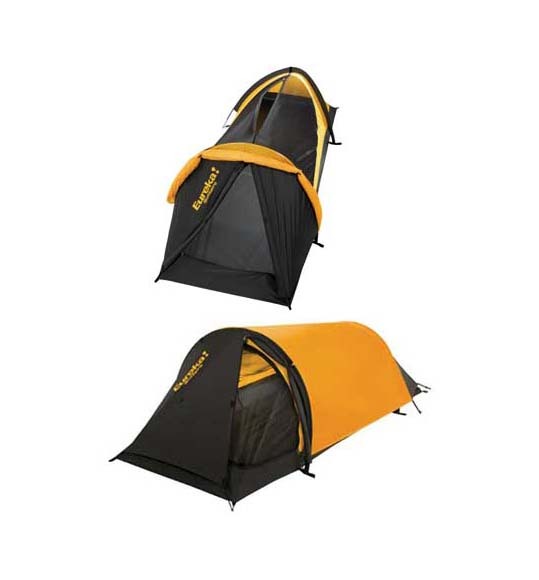 • Poles attach to tent body via pin and ring for fast and easy set up. 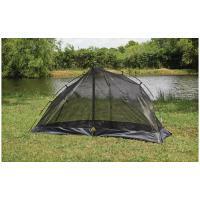 • tent, pole and stake bags included. • Min Wt2 lbs. 9 oz. • Dimensions8 ft. x 2 ft. 8 in. • Int Height2 ft. 4 in. 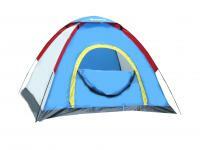 • Special FeaturesZippered roof exit, taped seams, stargazing.